Bill Waiser, distinguished professor emeritus of the University of Saskatchewan. (Photo Credit: Daniel Hallen for the University of Saskatchewan). SASKATOON – Bill Waiser, distinguished professor emeritus of the University of Saskatchewan (U of S), has been awarded the prestigious J.B. Tyrrell Historical Medal by the Royal Society of Canada for outstanding contributions to the field of Canadian history. “Prof. 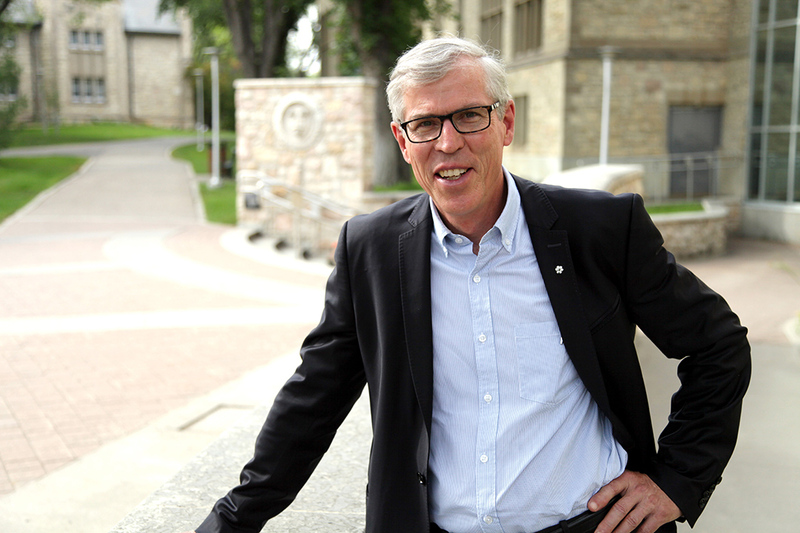 Waiser is a gifted scholar who has investigated and shared the story of our province not just with students but with the broader Canadian public through his many books, public talks and extensive engagement with television, radio and print media,” said U of S Vice-President Research Karen Chad. The Tyrrell Medal will be presented to Waiser at a special Royal Society ceremony on Nov. 17 in Halifax, N.S. A specialist in western and northern Canadian history, Waiser served as U of S department head of history from 1995 to 1998. He is the second U of S historian to be recognized with the Tyrrell Medal, which is awarded every two years by the Royal Society “for outstanding work in the history of Canada”, provided a suitable candidate is found. The first U of S recipient of the Tyrrell Medal was A.S. Morton, who was honoured in 1941. Morton joined the university in 1914 as chief librarian and history professor, and went on to head the history department. He was instrumental in establishing the Saskatchewan archives and served as the province’s first archivist from 1938 until his death in 1945. The medal connection to Morton is highly meaningful to Waiser, who served as the A.S. Morton Research Chair at the U of S for four years before leaving the university in June 2014. “Arthur Morton won it nearly 80 years ago for his work on western Canadian history, and I’m following in his footsteps, so it’s very special to me,” Waiser said. Waiser’s extensive community outreach has included a weekly column “History Matters” for The Saskatoon StarPhoenix,a weekly column “Mining the Past” for CBC Radio, and serving as researcher and on-camera host for “Looking Back,” an award-winning CBC Saskatchewan television production that was later reproduced in DVD format by the provincial government for distribution to all schools in the province. He has given over 250 talks on Canadian topics to schools and libraries, conventions, conferences, clubs and organizations and at public ceremonies. Since leaving the U of S, Waiser has served as a visiting scholar at Duke University in North Carolina, McGill University in Montreal, Trent University in Peterborough, Ont., and Victoria University in Wellington, New Zealand. Waiser was awarded the Saskatchewan Centennial Medal in 2005 and the Saskatchewan Order of Merit in 2006. He was inducted as a Fellow of the Royal Society of Canada in 2007. In 2017, he was named a Member of the Order of Canada, the country’s highest civilian honour. The RSC medal is named for Joseph Tyrrell, a Canadian geologist, cartographer and mining consultant. Tyrrell discovered the dinosaur bones in Alberta’s badlands, and coal around Drumheller. The renowned Royal Tyrrell Museum of Paleontology in Drumheller is named for him. Sarath Peiris is the Assistant Director of the University of Saskatchewan research profile and impact unit.